It's that time again. 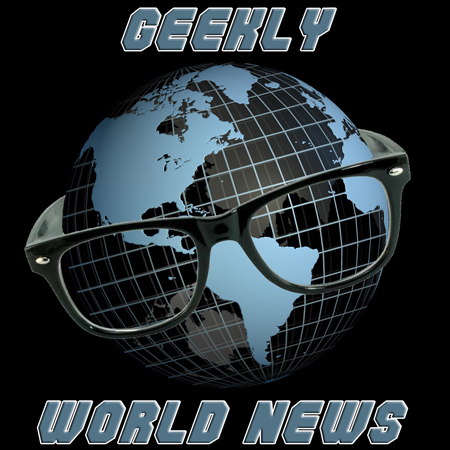 Yep, I'm trolling around the internets just to bring you all of that geeky news that matters in this week's Geekly World News! This week featuring: Call of Duty, Homeworld, Apple, Samsung, and Wolverine. 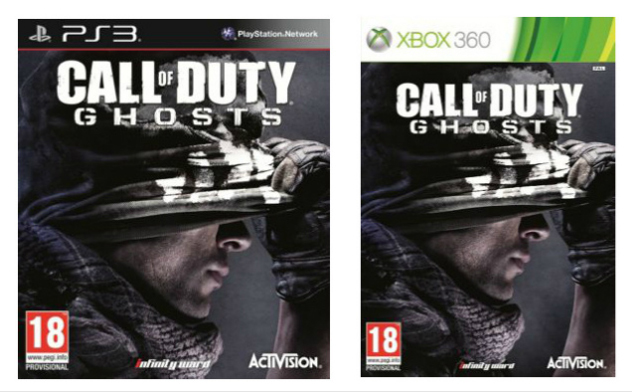 There are dirty dirty rumors that a Call of Duty: Ghosts game that have been lingering like a bad fart, but there was a box concept art image leaked this time. The other rumors suggest it will be set in the future and next-gen only. Speaking of Call of Duty, apparently one of their PR reps thought it would be a good idea to steal $30k from the UK launch budget of Call of Duty: Modern Warfare 2 to throw herself an engagement party. She managed to avoid jail time, getting an 18 month suspended sentence, because this apparently is causing stress in her marriage amongst other things. Like the fact she pretty much can never work again. Someone she hired apparently thought it was also a good idea to charge a vacation to Florida on Activision's dime too. Poor Nintendo, they just can't catch a break. They sold only 200k WiiU units in the first quarter in North America compared to the 360 which sold more than that in March alone. Doomsayers are already asking if Nintendo should bail from the market, especially after all of the WiiU game delays. Nintendo announced they are focusing on getting key titles out the door to rebuild momentum for the platform. Maybe I'll get one then. Ah who am I kidding, no I won't. Have you seen the crazy Japanese trailer for the new Wolverine movie? So…much… ninja…action! There are three new previously unreleased tracks from Grand Theft Auto: Vice City for you to get your hands on! They are from the in game "Radio Espantoso" station and titled "The Bull's Wrong" by Alpha Banditos, "Yo Te Mire" by Tres Apenas Como Eso and "La Vida Es Una Lenteja" by Unaesta. If you want to take a listen they are streaming on Spotify, or buy them up on iTunes. I know this will come as a shock to you, but there are rumors that Batman: Arkham Origins will have multiplayer. From the Kotaku article, you apparently play a section of the multiplayer as one of the Joker's or Bane's minions while trying to take down Batman and Robin. Keep an eye out for the game on October 25. Heads up Ratchet and Clank fans, you're getting a movie. It's aimed to come out in 2015 and being worked on by Blockade Entertainment and Rainmaker Entertainment. T.J. Fixman one of the main writers on the game series will be working on the script. PayPal got into a scuffle by holding money raised by LabZero's IndieGoGo campaign. They had raised $800,000 to keep adding content to their fighting game Skullgirls, and PayPal decided to put a hold on paying it out. They wanted to know if there was a risk of the backers trying to well, back out, and LabZero would take the risk of covering those reverted payments. The problem is, that money was going towards paying the staff so they could, maybe, eat? A complaint was filed against PayPal with the Consumer Financial Protection Bureau, and they unlocked the cash less a $35,000 "collateral" fund. Would you like to bake an official Portal cake? Head over to Amazon and pick up a box to make your very own, complete with candles, cream powder, chocolate flakes, and tastiness. The Konami Code came out this week in 1986. And it cost some dipshit on Who Wants to be a Millionaire $7000. Happy Birthday! THQ's remaining IP was sold off. Darksiders, Red Faction, MX vs ATV, and a few other smaller titles ended up with Nordic Games. Gearbox Software picked up the Homeworld franchise, which has a bunch of internet hate-on pouring on Gearbox's presumed touch ruining Homeworld already at the moment. Uhoh, if you have a World of Tanks account, you might want to start changing any account with the same email and password combination. They got hacked, and no financial information was compromised, but addressed and hashed passwords were. The Galaxy S4 is available for pre-order starting Thursday at Verizon Wireless. It rocks about the same size and weight as the S3, with the same button placement. It comes in 16, 32 and 64GB flavors, a 2,600 mAh battery pack, LTE, a 4.99 nice 1080p Super AMOLED screen, and lots of other goodies. Are you going to upgrade? Apple has announced the WWDC2013 dates! You'll be heading to lovely San Francisco June 10 through 14th and be focusing on iOS and OS X. Ticket sales will start Thursday April 25, so be ready! But don't expect any new toys until Q4 or 2014 at the earliest, from their earnings call, they seemed to indicate that was the soonest any new products would hit the market.